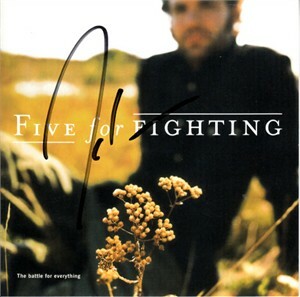 The Battle for Everything CD booklet ONLY (CD NOT INCLUDED) autographed in black marker by John Ondrasik (Five for Fighting). MINT. With certificate of authenticity from AutographsForSale.com. ONLY ONE AVAILABLE FOR SALE.